On the balcony of our hotel. 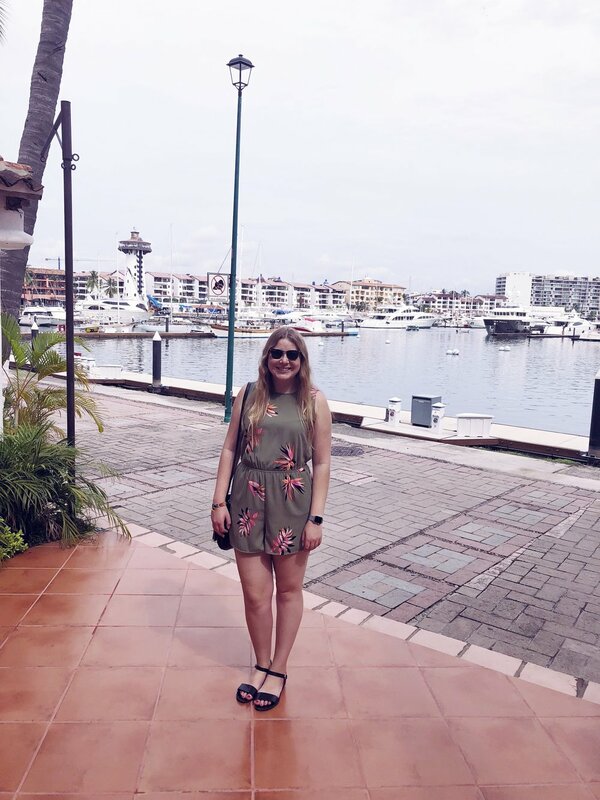 We stayed at the Mayan Palace Marina Vallarta. Kimchi Blue top. Billabong skirt. Steve Madden sandals. Shopping at the marina in Puerto Vallarta. A New Day romper. Steve Madden sandals. Ray-Ban sunglasses. 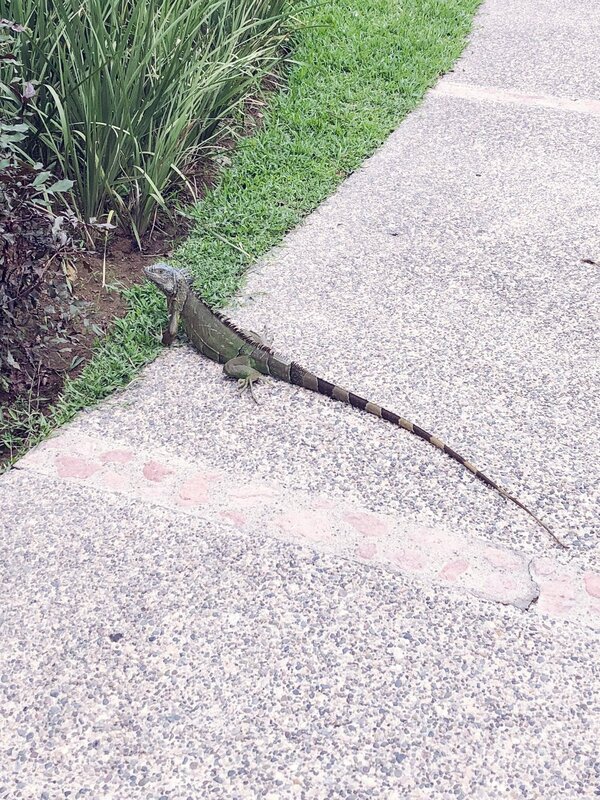 Iguanas are everywhere in Puerto Vallarta. Crossed this suspension bridge in old town Puerto Vallarta. Sayulita is an amazing art and surf community about an hour north of Puerto Vallarta. 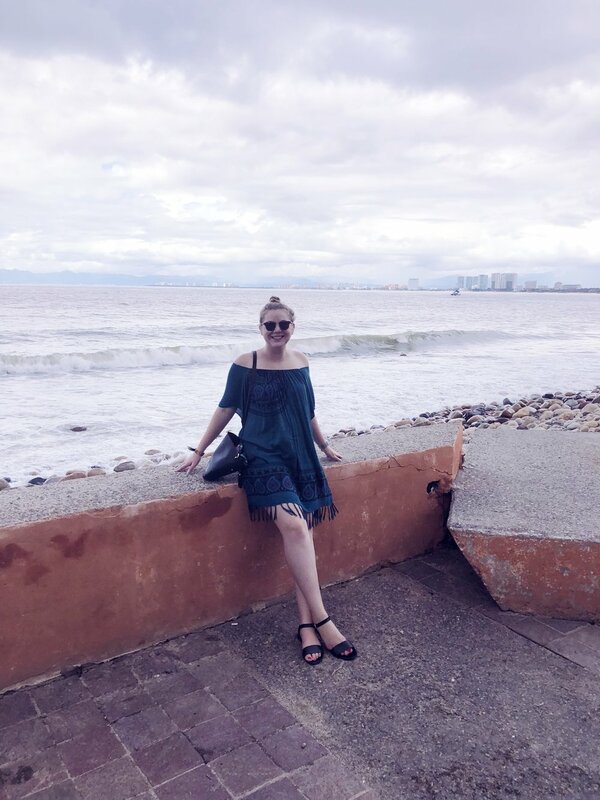 On the malecon in Puerto Vallarta. The malecon is home to many shops and restaurants. Dress bought in Mexico. Vince Camuto bag. Steve Madden sandals. Ray-Ban sunglasses. Los Muertos Pier in Puerto Vallarta. Sunset at Los Muertos Beach. 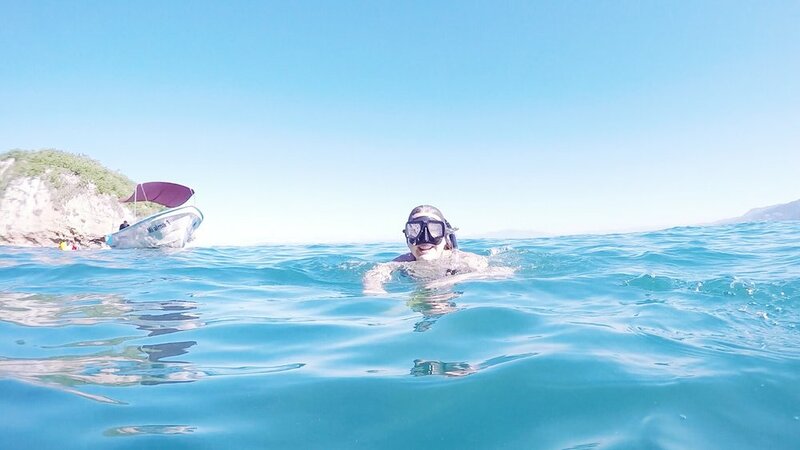 Took a snorkeling trip out to Los Arcos which is just south of Puerto Vallarta. View of one of the islands of Los Arcos from the water. 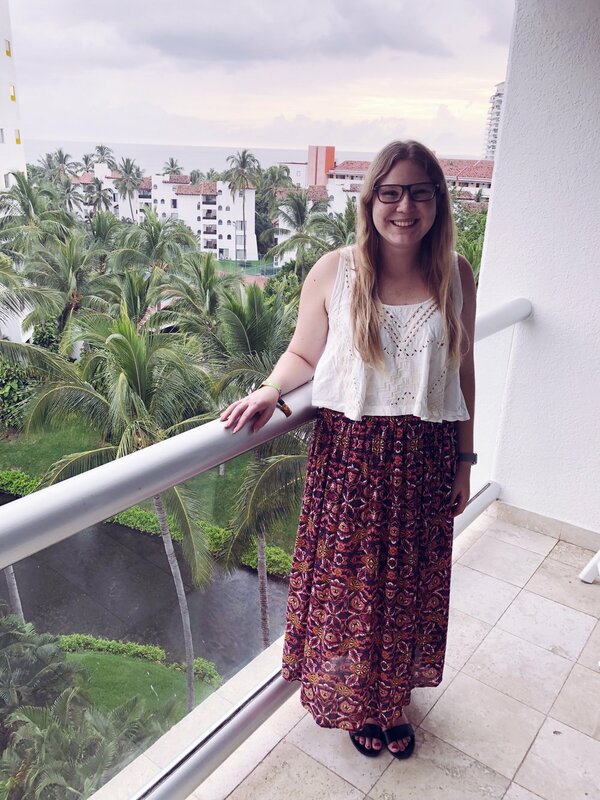 I had an amazing week in Puerto Vallarta and I can’t wait to come back in the future! Express jumpsuit. Vince Camuto bag. Steve Madden sandals. Ray-Ban sunglasses. in Montclair, CA to pick up some pieces for my upcoming vacation to Mexico. 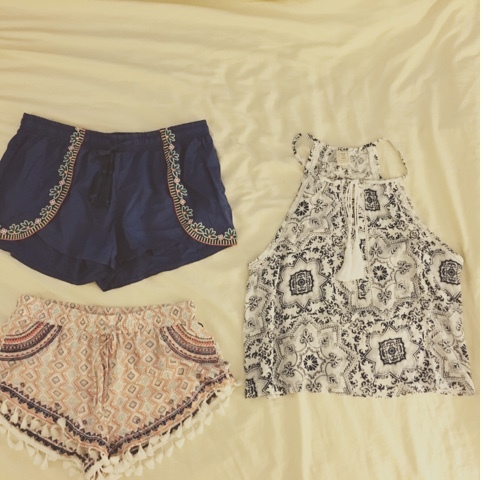 I found some really cute and colorful shorts that will be great for my trip. Their lightweight fabric and easygoing style makes them great for the beach or just exploring town. I also picked up this cute printed blouse that is also lightweight and keeps you cool in the heat and humidity. Another plus of these items is that they take up barely any space in my suitcase!
! 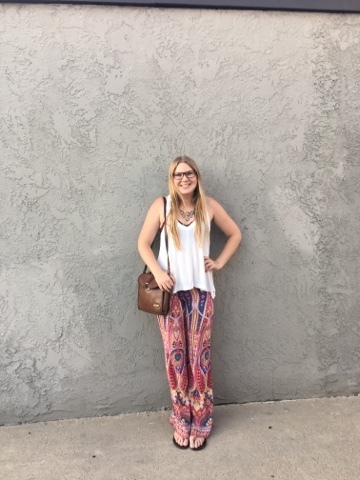 I definitely recommend it if you are looking to add some pieces to wardrobe!